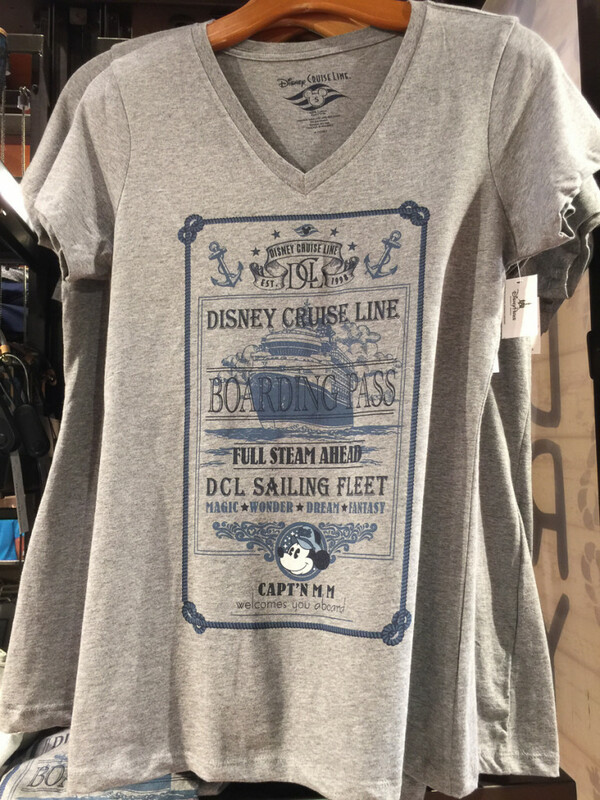 I am often asked about how to buy Disney Cruise Line merchandise on land considering Disney will not sell the vast majority of their onboard merchandise online or via mail order. 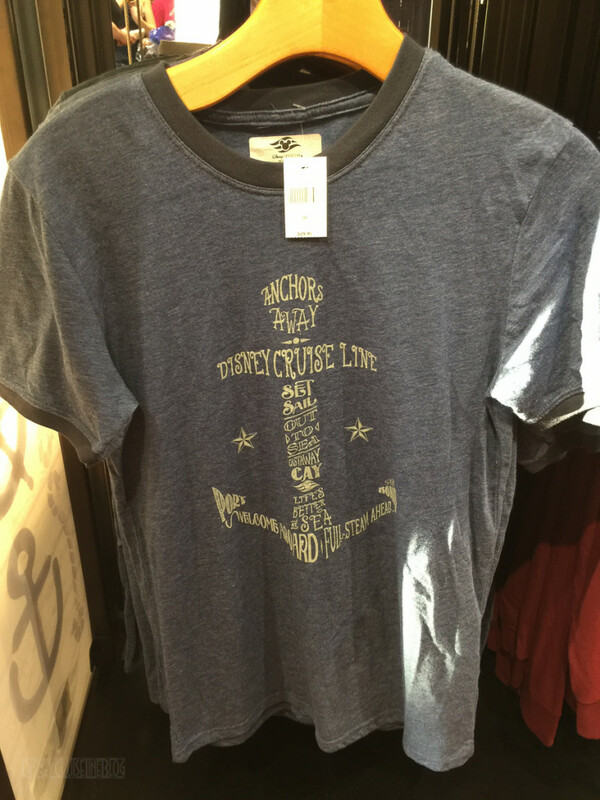 My typical response is to check the limited offerings on DisneyStore.com, eBay or if you are feeling adventurous… the Disney Outlet stores. For the time being, there is a retail option in Orlando to add to that list of places to buy DCL merch on land. The Marketplace Co-Op over at Disney Springs quietly added a Disney Cruise Line Dry Dock Shop over the weekend or maybe last week. 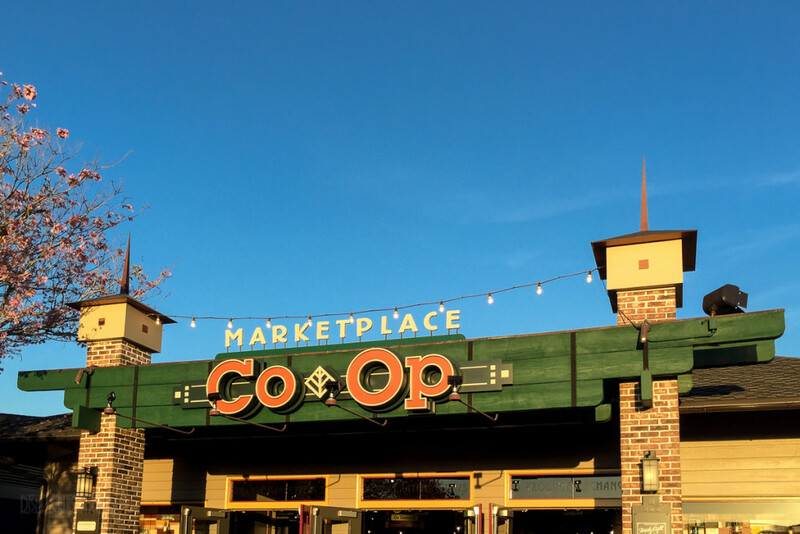 Anyway, Marketplace Co-Op is a unique shopping location at Walt Disney World. 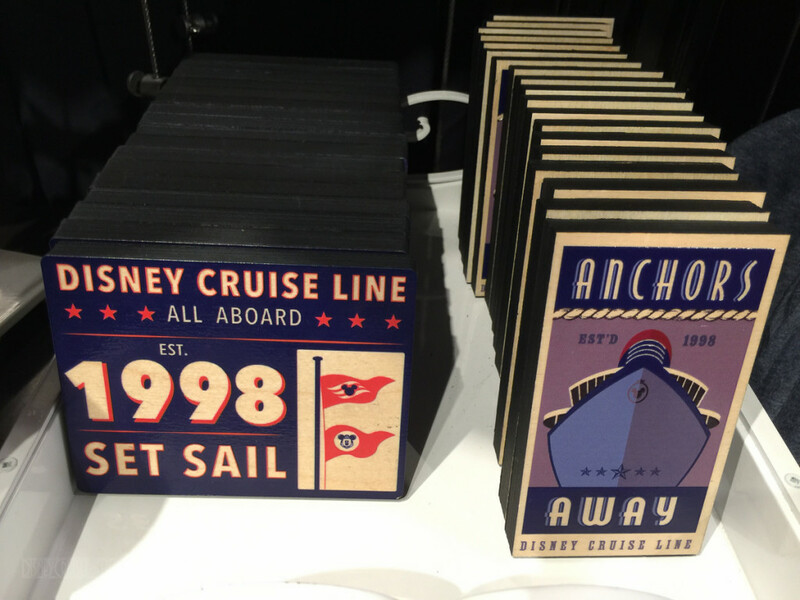 The store is dynamic in that there are many mini stores within allowing Disney to test different lines of products or concepts before unleashing them around property and DCL merch is one of the latest concept being tested. 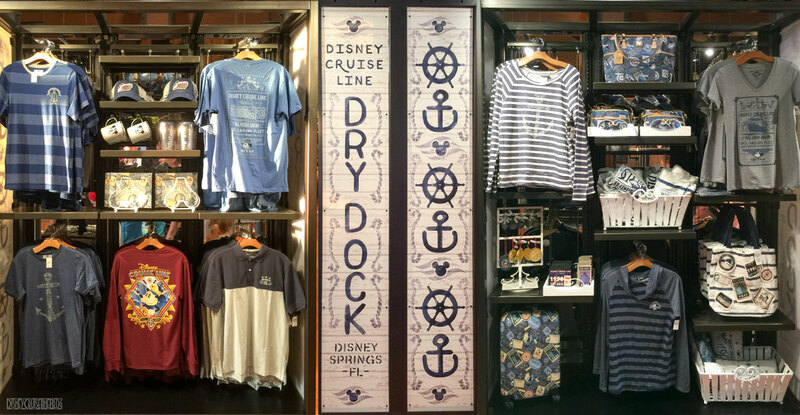 The Disney Cruise Line Dry Dock “Store” at Marketplace Co-Op is a two sided display just inside the building in center walk way. 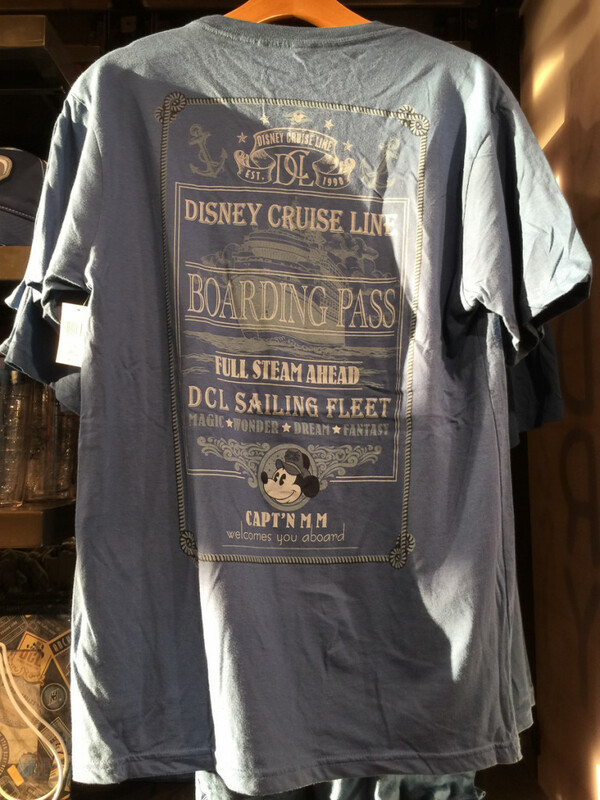 Below are pictures of the Disney Cruise merchandise available at the Marketplace Co-Op along with the price and SKU numbers. 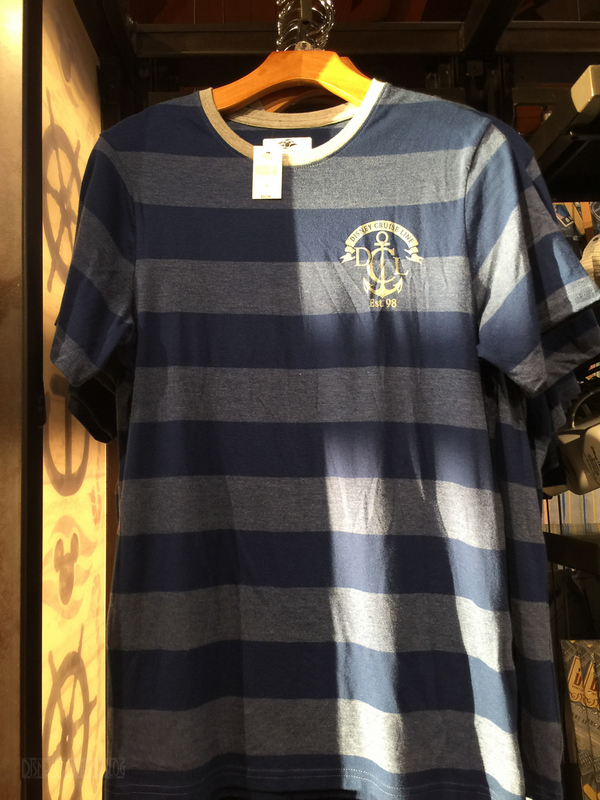 As of this time, the merchandise is not available from the Shop Disney Parks App, but who knows, it may be worth checking if you see something you really want. 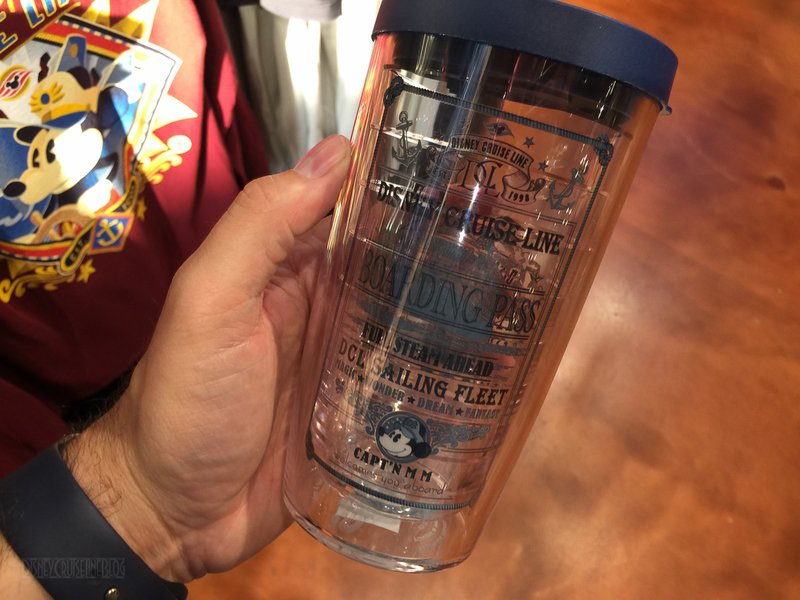 Some of the merchandise I recall seeing on the ships. 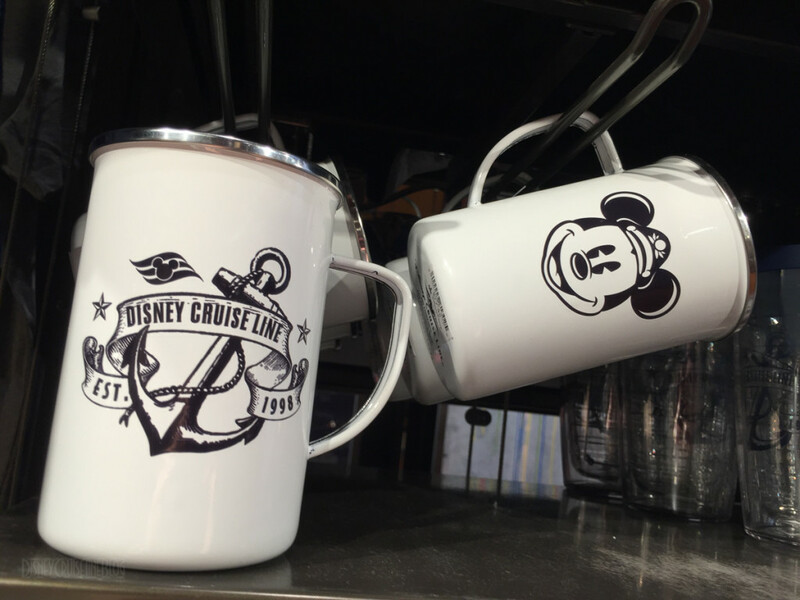 I hesitate to say run out and support the store, but if successful, it would be a indicator to the powers that be that there is a demand for Disney Cruise merchandise on land and may lead greater DCL merchandise availability around Walt Disney World or even online. What do you think about the new offering of Disney Cruise Line merchandise at the Marketplace Co-Op? 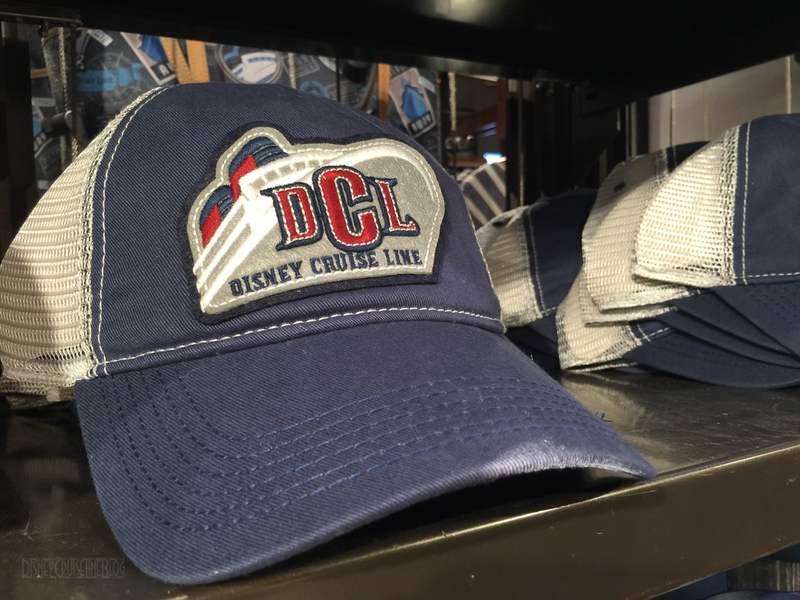 Would you like to see more DCL merch made available for purchase on land? 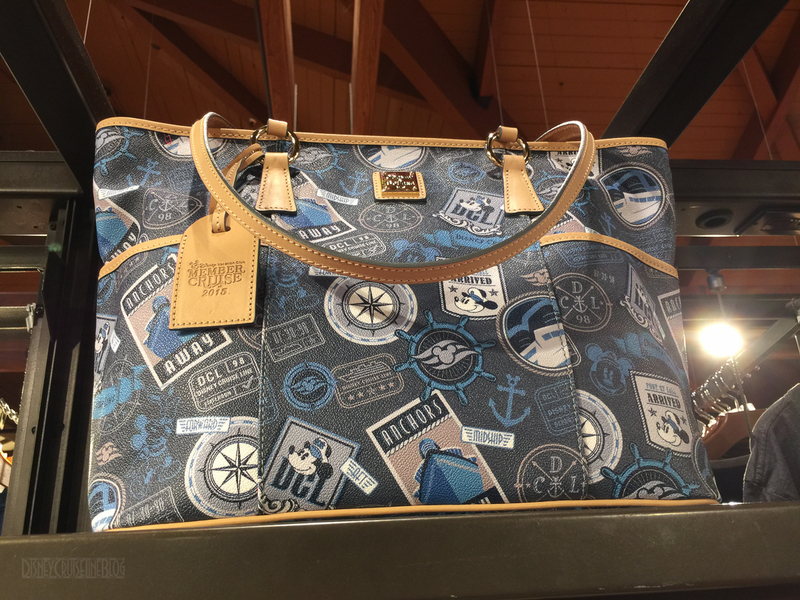 This entry was posted in Merchandise, News, Walt Disney World and tagged Disney Springs, Dooney & Bourke, Marketplace Co-Op by Scott Sanders. Bookmark the permalink. Wow some of that stuff was not on the ship when we went out a month ago…. i wonder if there is a way for us to order it? 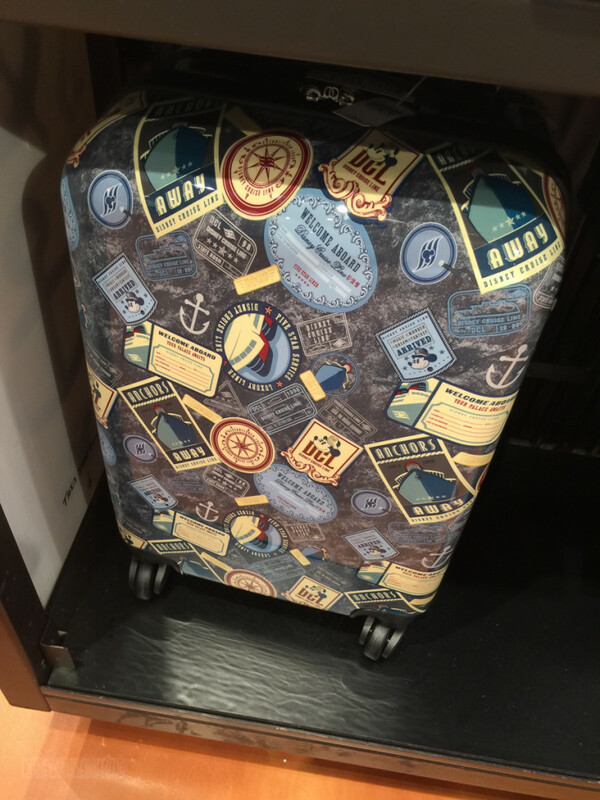 I ordered the rolling suitcase at Disney Store web site. Thanks for this post! Hope to see updates of new merch in the future! The prices were so helpful! Scott…Thanks for taking the time to post all the details. These are great. I love the understated T’s. It is great to see some non-year/ship specific gear on land. My daughter is a DCP’er and is headed there tonight to grab some. AWESOME opportunity! As a review I will say that I bought the suitcase on our last cruise (needed it to get home after 2 Scorpions at Atlantis and a trip to the Straw Market 🙂 I absolutely LOVE it! I’m yuge in the fashion world. Disappointing I think it should only be available to people that sale. If you can buy it other places it’s not as special. I completely agree. 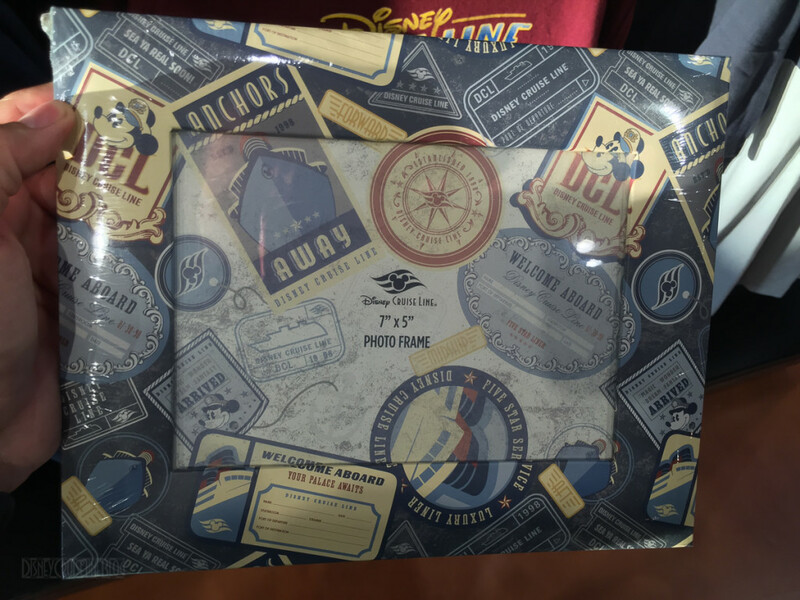 This current offering with the boarding pass graphics appears to be targeted at guests currently at Walt Disney World who are going on a cruise later in their stay. 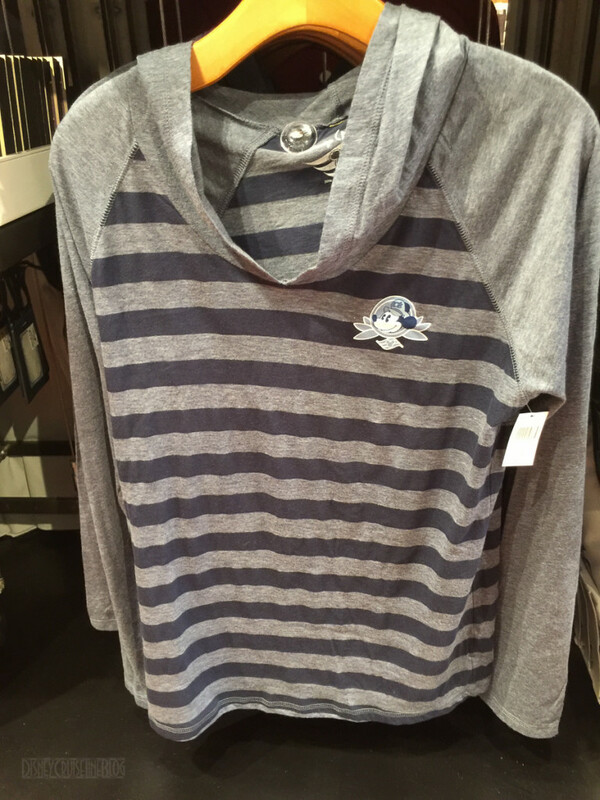 I could see people picking these up to wear to Port Canaveral. This is exactly what I am thinking of doing. Party of 14 first time cruisers, it will be great to pick up something the night before to surprise the kids, since they won’t know about the cruise portion until we get there. 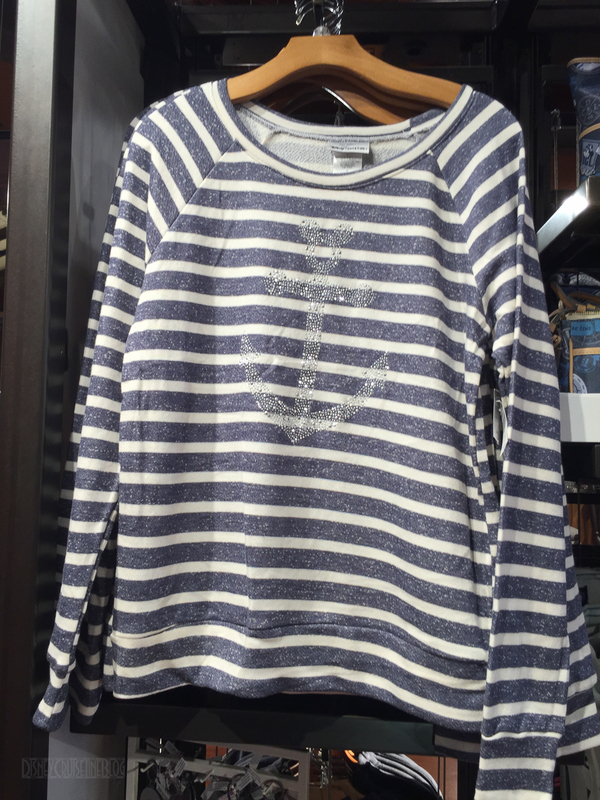 I thought the selection on the ship was some of the best I’d seen. I had a hard time not buying more than I did, and I did buy some of those items on the Dream a couple weeks ago. 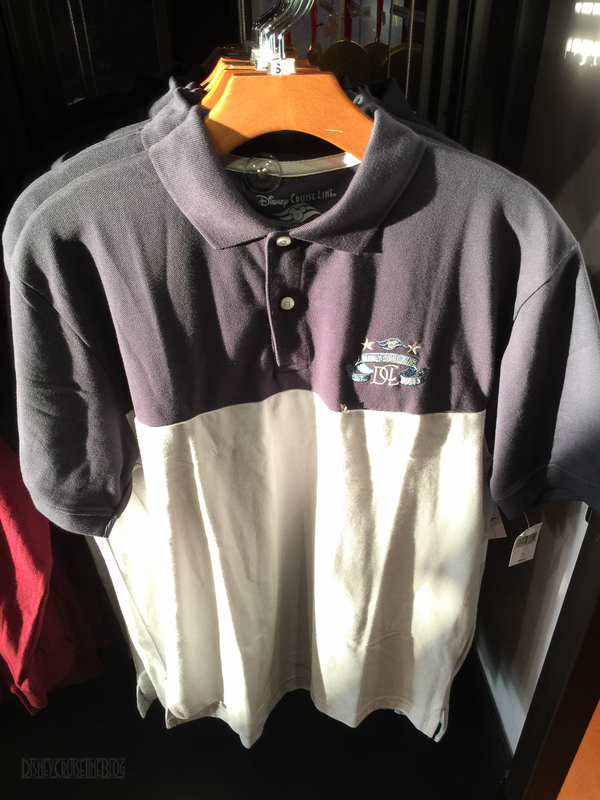 I think it’s a great opportunity to pick up some of the great merchandise on land. Thanks for posting, Scott! I live in Southern California. While I love living here, I’m jealous that you have Disney Springs! But, I guess that’s a good thing…I’d do some major shopping there! On Wonder in October I snagged a Dooney from the design posted but it’s a large crossbody. Didn’t know it was from the member cruise! I love it so much that I’ve been using it everyday since! My other purses are collecting dust! Downtown Disney’s transformation into Disney Springs has been amazing and I am not just saying this because I am a two bit Disney blogger. I one avoided DtD like a plague due to the parking situation alone. Now, with the new parking garage, another on the way and the improvements to the restaurants and stores I look for reasons to drive over. 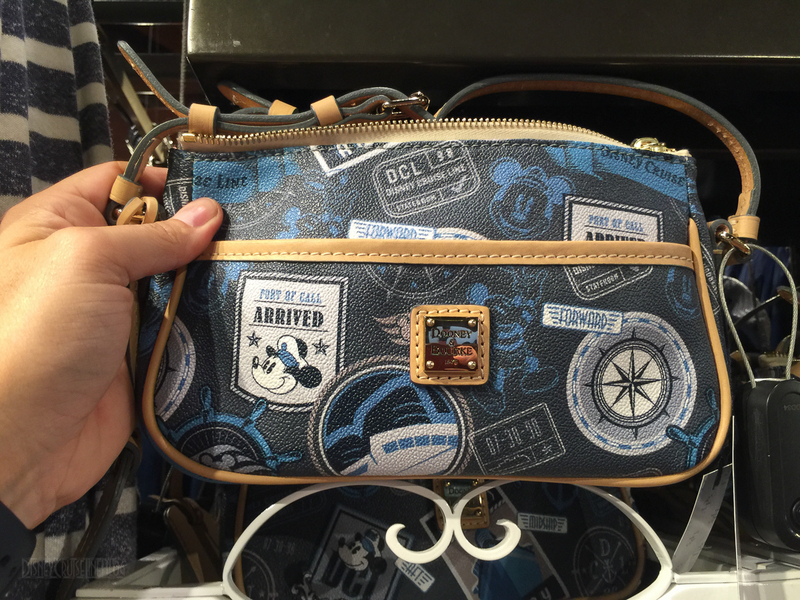 I did not realize it was a Members Cruise Dooney until I was putting this post together and noticed the tag on the larger bag. 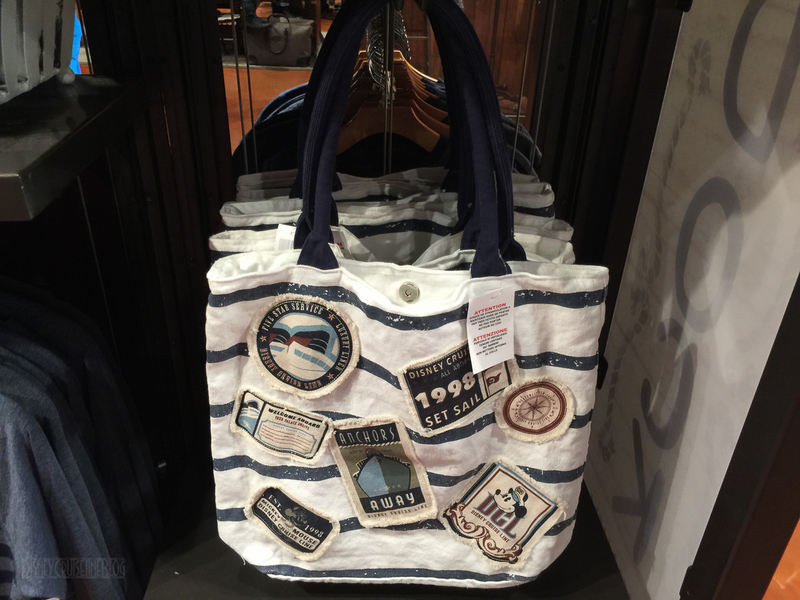 We bought the tote on the Wonder in Sep and they were available to anyone. In fact, even if you have an annual passport it doesn’t matter, any discounts you normally have, etc. do not apply an board. 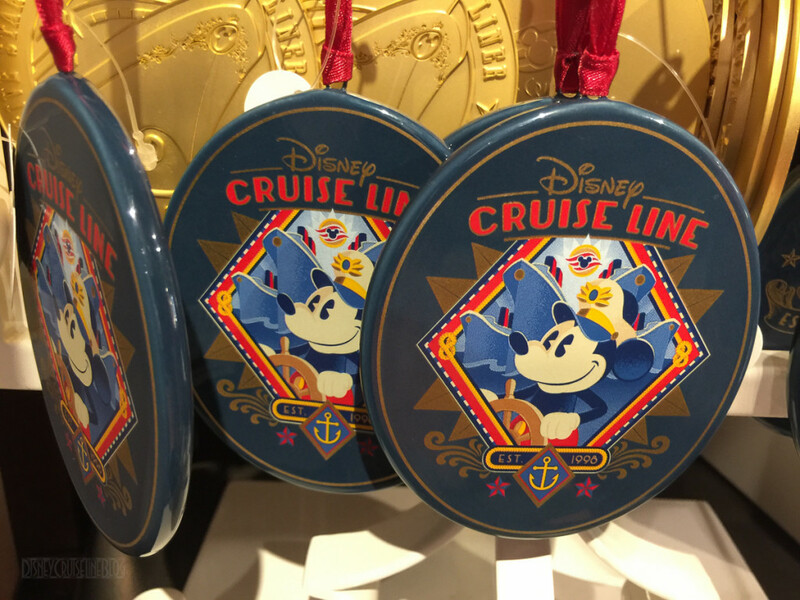 Amy, we will be visiting Disneyland this summer and are big DCL fans. 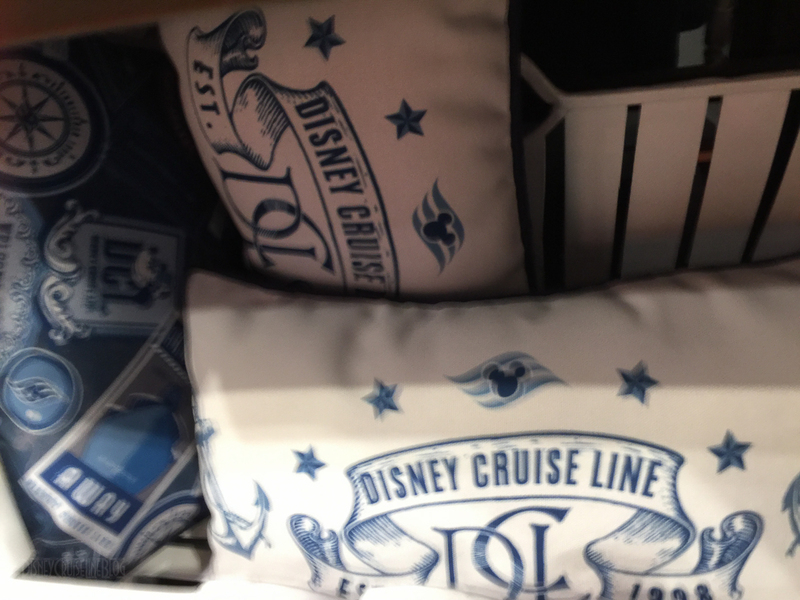 Do you know of any DCL merchandise sold there? Hi, April! We are annual Disneyland passholders and LOVE DCL. 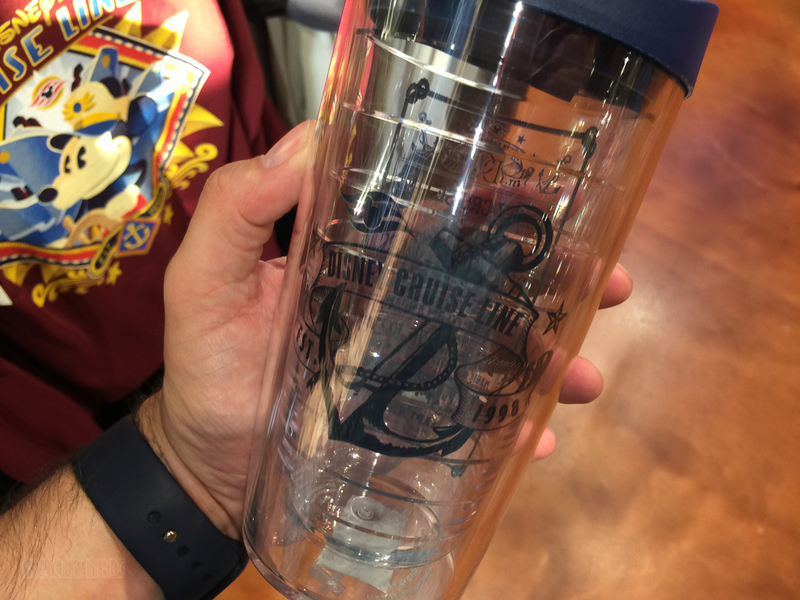 However, I have NEVER seen DCL merchandise at Disneyland parks. 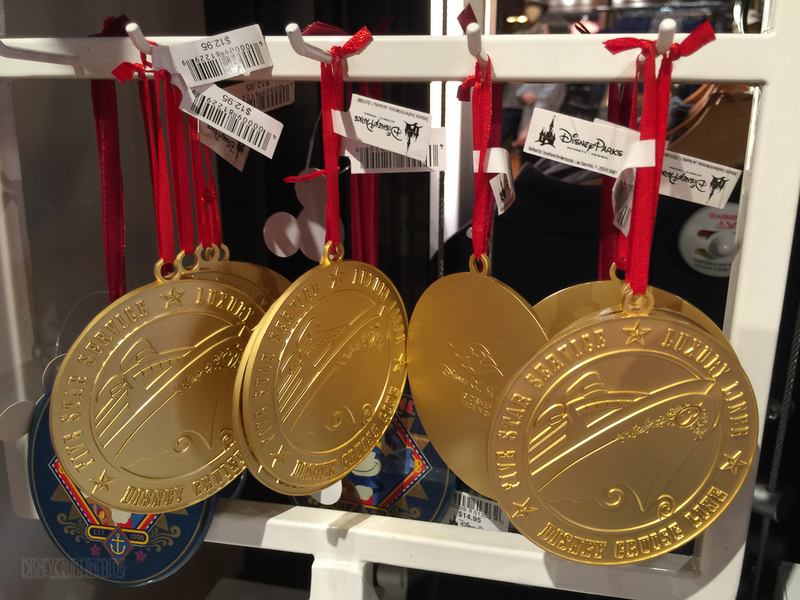 Your best bet would be disneystore.com. 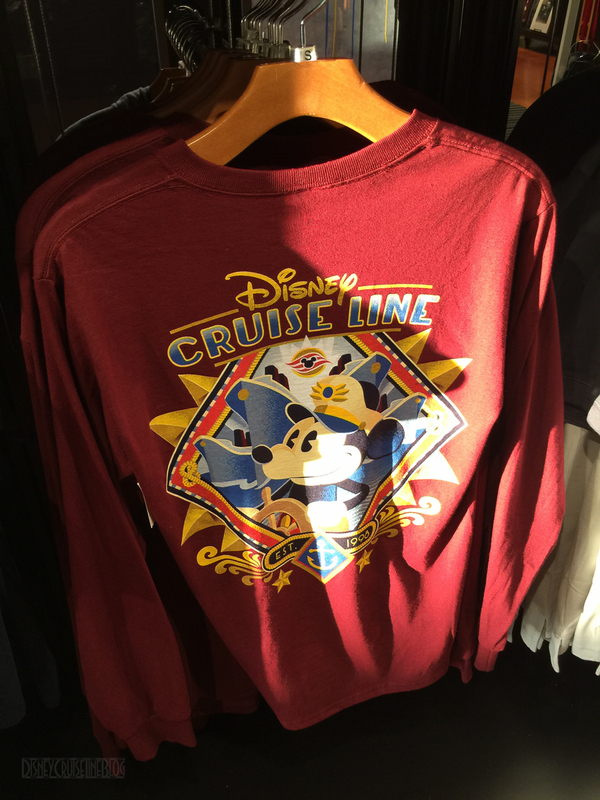 For our October cruise, I got a set of family shirts from a Disney outlet store for embarkation day. For pirate night, the kids wore pirate outfits while my husband and I wore disney pirate shirts I got on etsy. Thanks, Amy! Now I know not to waste my time looking for any. Wow! Who knew people had so much money to burn? Come on – put that money to better use like your retirement or kids 529. I’m heading down to Disney on the 29th. First stop Disney Springs! 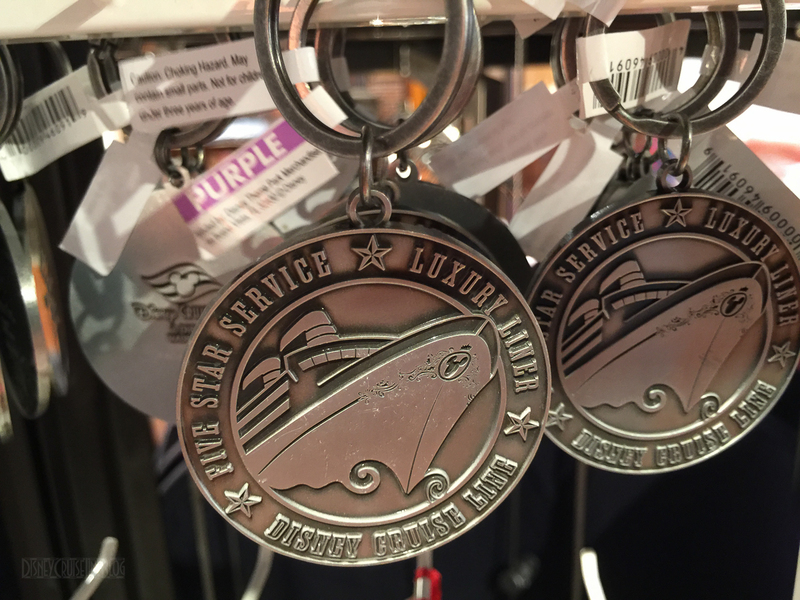 You didn’t happen to notice if they were hawking the DCL Pandora Charms, did you? I did not see any at WDW. 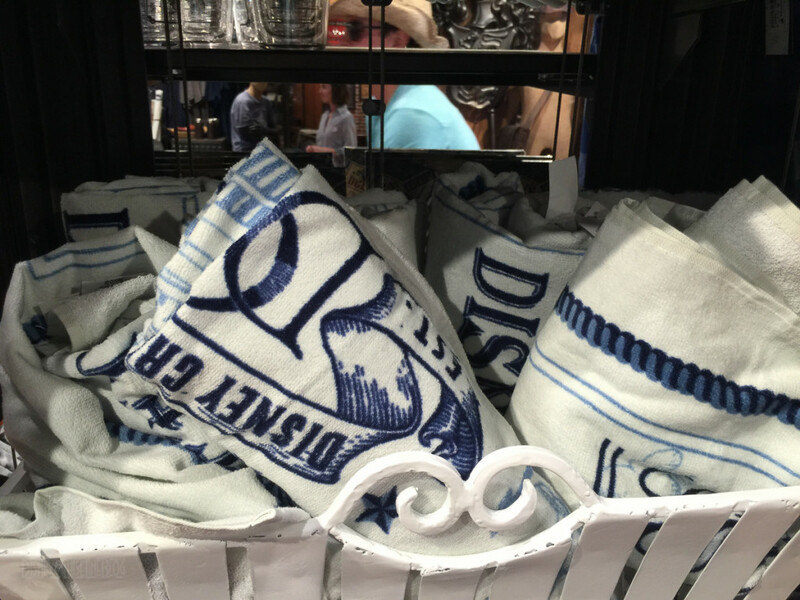 Can you call and order any of this DCL merchandise from Disney Springs?